Easy recipes, helpful ideas, and timesaving tips for hectic households! When the landscape glistens with new-fallen snow, it’s time to gather with family and friends and have a cup of cheer. 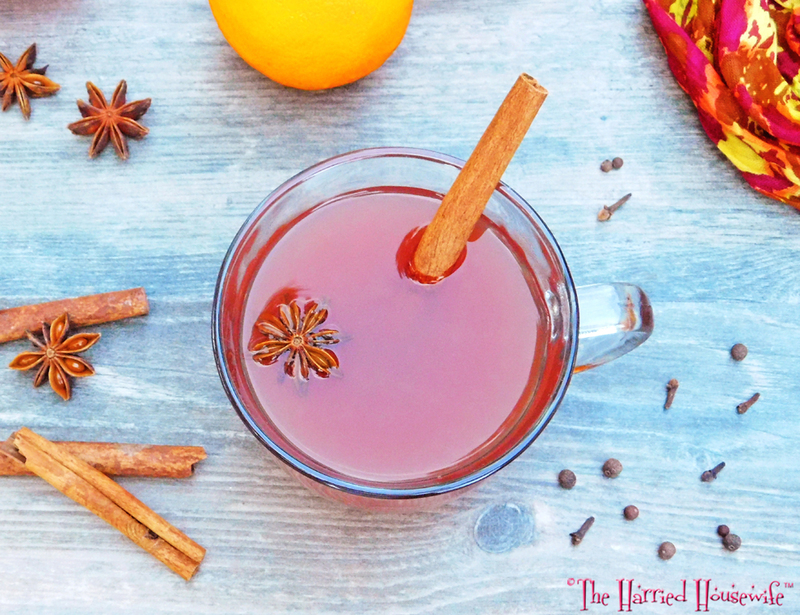 The perfect potion on a cold winter’s day, this seasonal sipper will warm everyone’s spirits. Of course you can leave out the alcohol and just enjoy the creamy hot chocolate instead, if desired. Whichever way you prefer, here’s wishing you a holly, jolly Christmas—this year. Cheers! 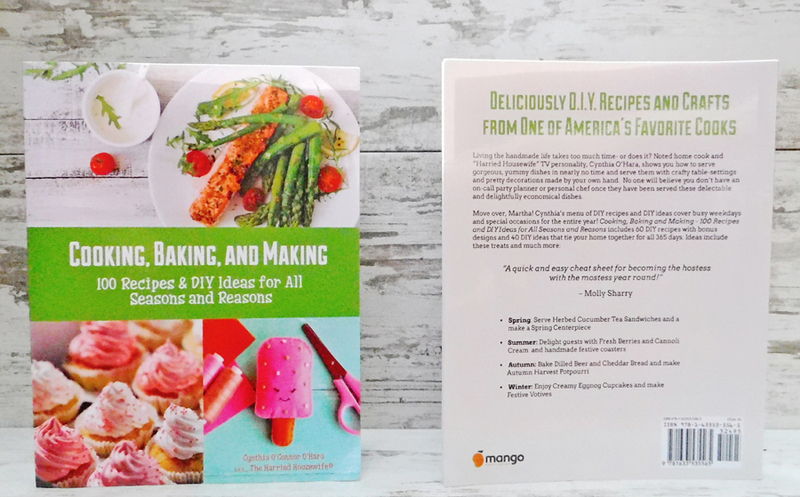 For more tasty tidbits, cozy concoctions, and easy diy ideas, pick up a copy of my latest book, Cooking, Baking, and Making: 100 Recipes and DIY Ideas for All Seasons and Reasons. In a large microwave-safe bowl, whisk together half-and-half, milk, and pudding mix. Microwave on HIGH until hot and slightly thickened, 7 to 9 minutes; whisk in coffee liqueur and vodka until well blended. Ladle into mugs; top with lightly whipped cream. Garnish with chocolate shavings, if desired. Makes 6 servings. Homemade Bottles of Crème de Menthe make ideal holiday gifts from your kitchen. Perfect for when friends come to call, you can share some of this seasonal sipper with them and then send them home with a bottle too. You can pick up small glass bottles that are just right for storing this yummy drink at places like Target. Simply attach a tag noting that refrigeration is required. 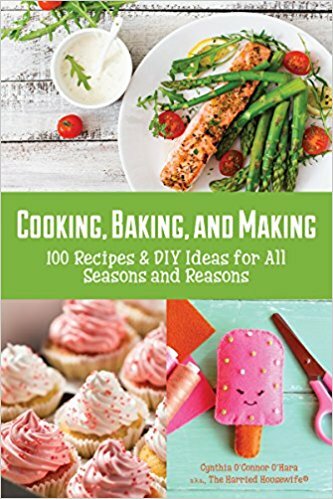 And if you like making holiday goodies to share with those near and dear then pick up a copy of my latest book, Cooking, Baking, and Making: 100 Recipes and DIY Ideas for All Seasons and Reasons. Here’s to a happy holiday season. Cheers! In a medium saucepan, combine sugar, water, and 1 cup mint leaves. Heat over medium heat until sugar has dissolved, 3 to 5 minutes, stirring frequently. Remove from heat; stir in the remaining 1 cup mint leaves. Let stand four hours, stirring occasionally. Warm up a chilly afternoon by indulging in a decadent drink overflowing with flavor. A seasonal potion perfect for sharing with family and friends, this recipe mingles cranberry juice cocktail with seasonal spices for the ultimate in aromatic cozy goodness. Add a splash of rum to each serving, if desired. In a medium saucepan, combine cranberry juice, orange juice, water, brown sugar, 2 cinnamon sticks, allspice berries, cloves, and star anise. Bring to a boil; reduce heat. Cover and simmer 5 minutes; remove from heat. Let stand 10 minutes. Pour cranberry juice mixture through a strainer; discard cinnamon sticks, allspice berries, cloves, and star anise. Serve with cinnamon sticks and float star anise, if desired. Makes 8 servings. DIY recipes like this one that make good use of sliced fresh strawberries, a touch of strawberry jam, and a splash of prosecco help make every occasion extra special. Ideal for spring and summer celebrations, these refreshing strawberry cocktails are brimming with effervescent goodness. Whether it’s to honor Mom on Mother’s Day, to sip during the warm months, or whenever you need impressive holiday recipes, these vibrant cocktails are sure please. So raise your glass and toast to crowd-pleasing cocktails overflowing with a fresh taste of the season. Cheers! In a blender or food processor, combine sliced strawberries, jam, sugar, and lemon juice; process until smooth. Strain through a fine-mesh sieve; discard seeds. Divide puree into six champagne glasses; slowly add prosecco. Garnish each glass with a strawberry slice, if desired. Makes 6 servings. 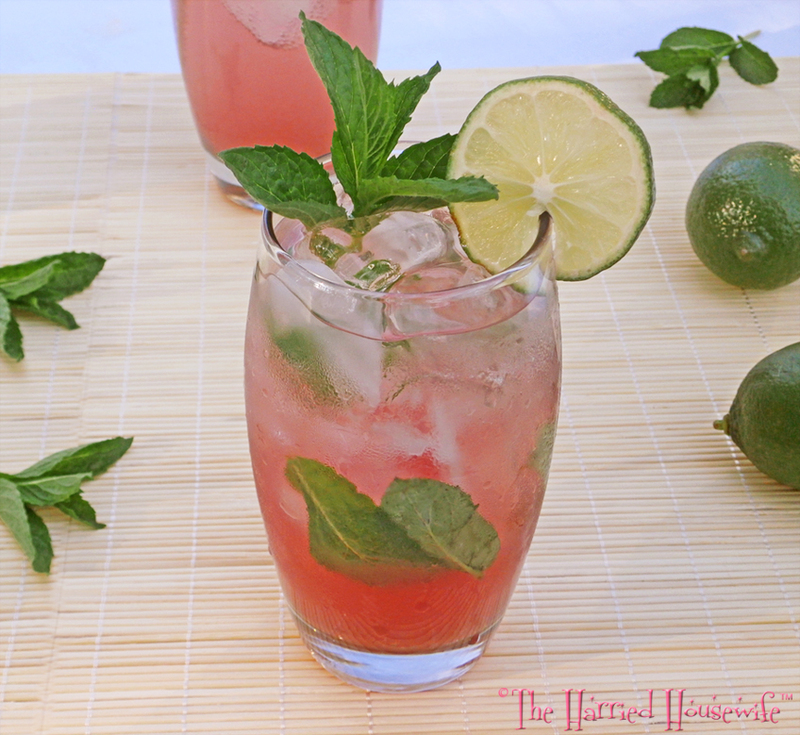 By combining the ingredients of a minty mojito along with the key ingredients of a colorful cosmopolitan, it’s easy to stir up a fresh-tasting beverage brimming with flavor. A timely indulgence, this icy drink is a fabulous choice when it comes to beating the heat of summer. One thing is certain: enjoying this seasonal sipper at any hot-weather gathering is sure to make a splash. Place mint, sugar, and lime juice in a tall glass. With a muddler or back of spoon, crush mint until sugar has dissolved. Stir in rum and orange-flavored liqueur. Fill glass with crushed ice; pour cranberry juice cocktail into glass; top with soda. Stir drink well. Garnish with lime slices and mint sprigs, if desired. Makes 1 serving. 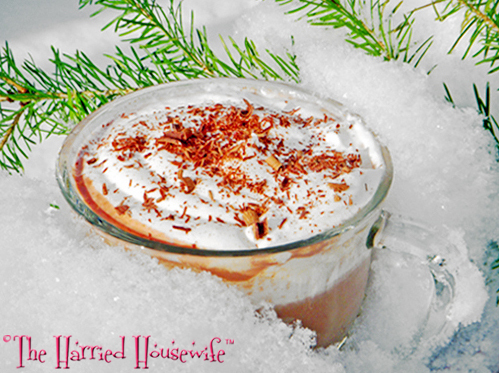 A cup of hot chocolate is a delightful indulgence on its own, but the addition of cinnamon makes it extra tasty. 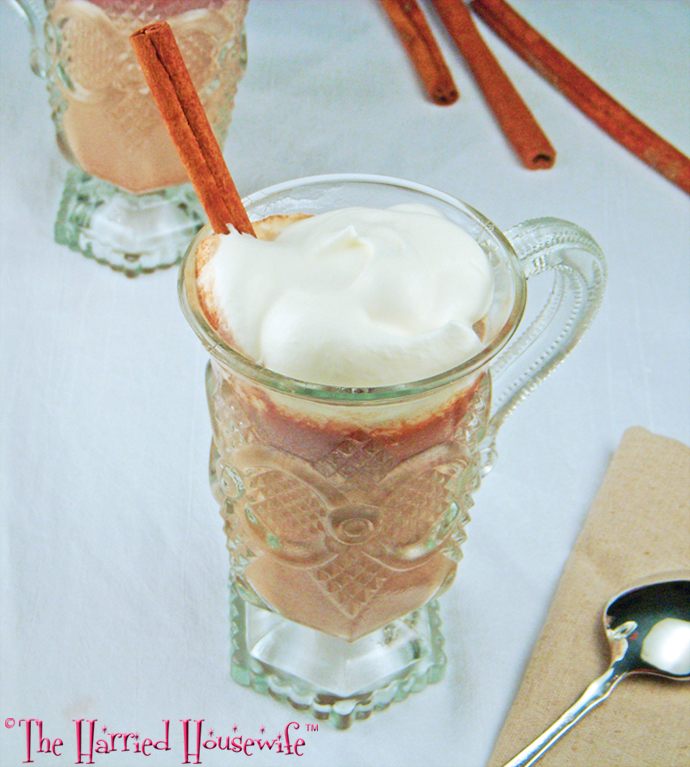 Similar to Mexican-style hot chocolate, this recipe makes it easy to whip up a flavorful beverage with a spicy twist. And it makes good use of pantry staples so there’s no need for specialty shopping or exotic ingredients. Top with light, freshly whipped cream and serve with cinnamon sticks, if desired. Whether it’s to enjoy on a snow day or anytime, this soothing sipper will warm you up from the inside out. In a small saucepan, combine chocolate, cinnamon, and 1/2 cup milk. Cook over low heat until chocolate melts, 3 to 5 minutes, stirring frequently. Remove from heat. Meanwhile, in a medium saucepan, add the remaining 3 1/2 cups milk and sugar. Cook over medium heat until thoroughly heated, 3 to 5 minutes, stirring frequently. (Do not boil). Whisk in melted chocolate mixture until well blended. Remove from heat; stir in vanilla. Ladle into mugs; top with whipped cream and serve with cinnamon sticks, if desired. Makes 4 servings. Add an elegant touch to New Year’s Eve celebrations by whipping up a colorful cocktail that will toast the evening in style. By combining a few ingredients, a refreshing drink can be ready to serve in no time. You also can add a dash of vermouth, if desired. And it’s just as easy to double or triple the recipe. 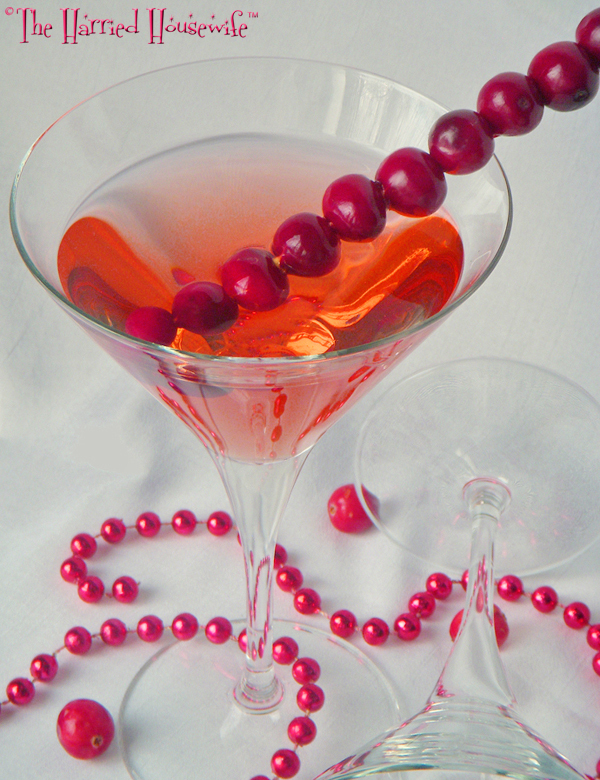 Make it even more festive by adding a skewer of fresh cranberries to the drink. Sophisticated, romantic, and always in good taste, a martini is a delightful choice when it comes to ringing in the New Year. Here’s wishing you and your family a happy and healthy New Year. Cheers! Fill a martini shaker 3/4 full with ice. Add cranberry juice cocktail, vodka, and orange juice. Cover and shake. Strain into a martini glass. Makes 1 serving. Tune in to WKTV NEWSChannel 2 Friday mornings for the latest recipe from The Harried Housewife’s RECIPE BOX. Enter your email address to follow The Harried Housewife's Blog and receive notifications of new posts by email.